Every therapist faces the problem of having clients with low motivation. Yet, therapists are rarely taught how to specifically motivate clients to achieve outcomes. Most training is based on using therapy techniques to overcome problems, however, if the client is unmotivated to get better then therapy techniques are not as effective. 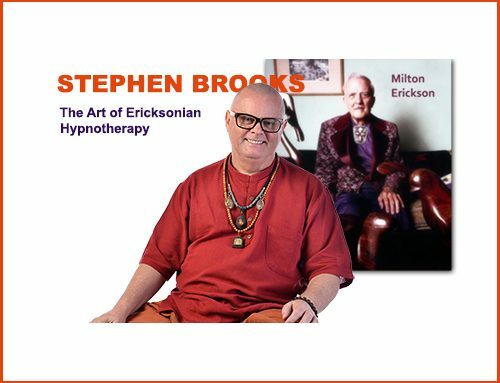 One approach to motivating clients comes from the work of Milton Erickson. His Ericksonian hypnosis approach to motivation is based on the concept of tasking clients. Tasking involves giving homework or behavioural challenges and tasks for the client to carry out between therapy sessions. These tasks are often given while the client is in hypnosis as the trance state acts as a kind of glue or adhesive to make the suggestions given by the therapist more likely to be taken on at the unconscious level. So here we see hypnosis being used to motivate clients to carry out tasks which then, in themselves, increase motivation to succeed at therapy. Tasks work by creating a change in the Patient’s routine which bring about a change in the Patient’s behaviour and therefore a change in the way the problem functions. Tasks are given to interrupt habitual patterns of behaviour or thinking. Sometimes a task may be given to directly intervene in a pattern of behaviour that normally maintains the problem. At other times tasks may be given that seem to be unrelated to the problem. Despite seeming unrelated, carrying out the task usually brings about a new understanding and the new understanding or realisation may then allow the Patient to look at his or her problem in a new light. Tasks usually require that the Patient do something different. For a task to be compelling and interesting is should be quite novel. It should involve a new behaviour or an alteration of an existing behaviour that is appealing in some way. Patients should be intrigued by the nature of a task and so be motivated to carry it out. Some tasks may be quite simple and some quite bizarre and so must be presented to the Patient in a way that makes it acceptable or of benefit. Tasks are often metaphorical in nature. Many tasks have the same function as metaphors. For example, if a Patient has difficulty in making decisions, sorting priorities or organising himself he could be given the task of clearing out his attic. This kind of task is metaphorical. While cleaning out the attic he also is developing the strategy for cleaning out his own internal unconscious attic. This kind of task can often work surprisingly well. When the task is metaphorical in nature the Patient should never be told directly what the outcome of the task is meant to be. Tasks can have simultaneous overt and covert outcomes. Often the Patient will ask for a rational explanation for carrying out a task. Usually we do not explain the reasoning behind a task in case the Patient disagrees and tries to sabotage it, so if the Therapist gives an explanation it should be based on an overt outcome that makes sense and is reasonable to the patient while the real or covert outcome remains secret. If the Patient knows the real outcome of the task he or she may sabotage the task or even decide that it’s not worth carrying out. High quality tasks may have many different outcomes. Tasks may be metaphorical in nature, or involve new therapeutic behaviour; they may have overt or covert outcomes or have specific intentional outcomes as well as being diagnostic. Patients often reject tasks given to them by their Therapists. Quite often when people are given advice they choose to ignore it. Because tasks are often a little bizarre, some Patients, when first hearing suggested tasks, reject them. The only way to avoid this is either to offer tasks which are more realistic or set up a process whereby the Patient feels compelled to accept the task. Make a reward contingent upon the completion of the task. One way of making your task more compelling is to make sure the Patient has some kind of reward. Sometimes this reward can actually be given as an excuse for doing the task, that is, the real reason for doing the task is kept secret. Maybe it is kept secret because the Therapist knows full well that if the Patient understands the particular outcome wanted by the Therapist then the Patient will not complete the task. So the Therapist offers some reward or some valid excuse or reason for the Patient doing the task thereby making it more compelling. Offer alternative but unreasonable tasks with the same therapeutic outcome. Another way of making a task more compelling is to first offer alternative deliberately unreasonable tasks that the Therapist knows will be rejected by the Patient. Usually this is done in threes. The Therapist first offers an unreasonable that, if accepted, will accomplish the therapeutic outcome. The Therapist makes sure that the task is sufficiently bizarre or unrealistic so that the patient feels inclined to reject it. Having rejected this first task the Patient feels less like rejecting a second time. The Therapist then offers a second task which could also achieve the same therapeutic outcome is accepted. This second task is not so bizarre as the first one and could well be completed by the Patient but is still likely to be rejected. The Patient rejects this task too, although in some cases the Patient may accept it. The third step is for the Therapist to offer the task that he wants the Patient to carry out. By now the Patient has rejected two suggestions by the Therapist and is ready to accept a third. This occurs partly because he feels sorry for the Therapist and partly because he feels guilty. When the Therapist presents this task it is entirely reasonable and the Patient feels more compelled to accept this task Because the Therapist projects this as the third choice the Patient feels more compelled to carry it out, especially as this task is presented as the last possible alternative. Before the Therapist presents this last task he makes sure that the Patient realises how successful this task has been for other Patients in the past. This makes it even more compelling for the Patient to carry it out. Overcome objections by using the experimental frame. In the event of a Patient rejecting the third task which might happen from time to time, the Therapist should propose that the Patient carry out the task as a form of experiment. Usually if a Patient rejects the task or shows some hesitancy there may be an unconscious awareness on the part of the Patient that a) the task may not be appropriate, b) the task may not be powerful enough, c) the Patient genuinely doesn’t want to do the task. In the first two examples, by offering the task in an experimental frame, the Therapist is suggesting that if the task is not appropriate or not powerful enough then it will not work. However if the Therapist does this he should not put too much emphasis on this point, he should appear confident. Example of how to deliver a task. Problem: The Patient wants beautiful hair but has unconscious hair-pulling habits. The therapeutic outcome:To make the behaviour conscious so the Patient has a choice about whether to pull the hair or not. (At the moment the Patient pulls her hair but is unaware that she’s doing it). Cut hair short (most likely to be rejected). Tie the hair back at all times (next most likely to be rejected but possibly accepted). To deliberately gently pull the hair at set times of the day (least likely to be rejected and probably the most therapeutic). outcome is for her to become consciously aware of when she has the problem. By becoming consciously aware of when she’s doing the behaviour she then has the choice of saying no. We could offer the girl the contingent reward, this is the reward that she thinks she’s getting by doing the task and this could even be given as the excuse for giving the task. For example if the Patient is told that she should carry out the task so that she could learn about the texture, the length, quality and thickness of her hair and that she has to do this at specific set times of the day we are in fact indirectly making the symptom an asset. We tell her to pull her hair gently, we tell her to pull it hard, we are in fact telling her to continue having the symptom. Now she is then no longer pulling it in a random way unconsciously. She is now pulling it deliberately to identify the texture, the thickness, the length, the beauty of her hair. Because her outcome is to have beautiful hair she will feel more motivated to carry out the task. The excuse has to be given in a very convincing way. If she rejects the task then we offer the task again in an experimental frame. We tell her that we would like her to carry it out as an experiment, we would like her to become aware of the quality of her hair before we start doing therapy. It’s unlikely that she will be reluctant to carry out the task under these terms. If the Patient rejects this task then alternative approaches to therapy or alternative tasks should be created. Usually a task has a specific outcome. The Therapist knows the change that he wants for the Patient and designs a task to achieve that specific outcome. Sometimes however, the Therapist may feel that he and the Patient lack information or resources to achieve that outcome. In these cases the Therapist can prescribe an ambiguous task assignment, which although ambiguous, has the specific outcome of getting the Patient to give his own interpretation of why the task was given and an account of any insights gained while performing it. So although there is a specific outcome, the information and insights gained from that outcome is not known until the task has been performed. The task is a diagnostic tool and this class of task is called the Diagnostic Task. It helps the Therapist gather further information for the next step in therapy. Sometimes an ambiguous task can actually bring about psychological change within the Patient and might even solve the Patient’s problem this is called a Therapeutic Task. Sometimes we may be faced with not knowing what to do to help a Patient. There can be any number of reasons for this. Usually it is because we do not have enough good quality information about the patterns that have either caused or are maintaining the problem. If the Patient does not communicate enough information we can usually apply our questioning skills to evoke enough good quality unconscious information to get us started. The problem seems to be at its most severe when the Patient gives us too much information and we end up getting confused. Sometimes Patients want to give us as much help as possible and so throw everything they can at us. All of their pet theories, old wives tales and interpretations from a multitude of sources are thrown into the melting pot. What the Patient is actually doing is creating the same kind of confusion in the Therapist that they experience themselves. The last thing we want is to be as confused as the Patient. One way of stopping the Patient from contaminating unconscious information is to give him a task that cannot be understood rationally by the conscious mind. By tying up the cognitive processes of the conscious mind with some task and requesting that the Patient wait for some kind of explanation to surface at an unconscious level the Therapist is teaching the Patient to trust his unconscious thought processes and creativity for problem solving. An Ambiguous Task Assignment is such a task. The Therapist asks the Patient to do something that may seem irrational or out of context but although the Patient may perceive the task to be irrational or unrelated to the problem he must be told that the Therapist has a very good reason for prescribing the task. The Therapist suggests that the task is directly related to the cause or maintenance of the Patient’s problem and that it will therefore lead to new insights about the problem. The Patient is instructed to go off and perform the task and then to consider why the Therapist gave him the task and to be aware of any insights. Usually, the Patient will perform the task and then spend time, often while the task is being performed, wondering what it all means. This process sets up an inner search through all of the unconscious data concerning the Patient’s problem and then, hopefully, pops one or two insights into conscious awareness. There is a parallel between this kind of tasking and that of Zen Buddhist Masters who give their novice monks unusual tasks or riddles to solve in the expectation that realisation or enlightenment will occur. The Diagnostic Task – an ambiguous task assignment that brings about insights and unconscious information. The Therapeutic Task – an ambiguous task assignment that can actually resolve a Patient’s problem. The Diagnostic Therapeutic Task – an ambiguous task assignment that can immediately resolve a Patient’s problem because of insights and unconscious information. The classification of the task is determined by the outcome achieved by the task. If the Patient gains insights but retains their problem, the task is a diagnostic task, if the Patient’s problem disappears because of performing the task the task is a therapeutic task. When a problem disappears immediately because of insights the task is a combined diagnostic and therapeutic task. Both classes of task are created by the Therapist spontaneously, without any conscious effort to link the tasks to the structure of the problem in any way. For example, for a Patient with erectile dysfunction the Therapist might say “Go and catch six fish and throw one away”. The task is not consciously related to the problem in any way. Another equally valid but spontaneously created task for the same problem might be “find a cloud, will it to vanish, and don’t look away until you have made it disappear.” I have just made up these tasks while writing this, there is no conscious connection to any Patient with erectile dysfunction that I know of and the tasks were chosen because they were the first thoughts that came to me when I decided to create them. The fish task is probably related to what I ate last night and the cloud task is related to something I have taught myself to do. Unconscious / Unconscious Ambiguous Task Assignments. When the trainee therapist first learns to create spontaneous ambiguous task assignments the tasks are usually consciously and unconsciously unrelated to the Patient’s problem. Over time and with experience, the Therapist will develop the ability to communicate more effectively at an unconscious level directly with the Patient’s unconscious mind and to create appropriate tasks that only appear ambiguous. Initially the tasks will continue to appear ambiguous to both the Patient and Therapist but eventually they will only appear ambiguous to the Patient. The Therapist will still create them spontaneously, even to the point of not knowing what the task is as he is explaining it, but will know immediately consciously why his unconscious has chosen that particular ambiguous task once the task has been prescribed. One of the benefits of prescribing ambiguous task assignment is that both the Therapist and Patients’ unconscious minds learn to communicate with each other independently without the conscious involvement of either person and with limited conscious awareness on the part of the Patient. People ask me where I get my ideas for tasking clients. Well they mostly come from everyday life. As and when interesting things happen to me or people I know, I make a mental note of them for use later. So I catalogue many different experiences and events that occur to me personally, or that I hear about, see or read about. Then, when I am in a session with a client, my unconscious will just present me with a relevant task for the current client. So the choice is not random and not conscious, it is chosen by a part of me that knows, or senses, what is exactly right at that moment. Sometimes I might change the task a little to fit the client and their circumstances, but often it is presented very much as it surfaces from my unconscious. The same process occurs when I create a metaphor. Metaphor and task creation are very similar. The unconscious taps into the huge database of life experiences that I have logged previously (this now happens on a day to day basis as an unconscious process) and presents one task or metaphor (or several) to the client. Often I am as surprised as the client with what I say. That is always a delight, and I have learned to trust that my unconscious knows best within the specific context of therapy. It is a kind of intuition. But intuition cannot happen all by itself, there needs to be massive prior exposure to the area that one wishes to be intuitive about. Then it functions by itself. It’s the same as learning any skill – through repetition we learn to let go of the conscious effort involved in trying, and allow our unconscious mind to take over the responsibility. It’s no big deal, everyone can do it, it just requires commitment to practice. Sometime the unconscious can’t seem to come up with a relevant task, or at least one that makes sense to the conscious mind. In these instances I give the client an ambiguous task. It’s these tasks that interest me more than others, because they often work, despite their almost ‘magical’ appearance. Here’s one that could have come straight out of one of my therapy sessions, but it is a cure for headaches from the middle ages: “When you enter a city, collect pebbles that lie on the road in front of the gate, as many as you want, while saying to yourself that you take them as a remedy for your headache. Attach one of them to your head and throw the others behind you without looking back.” Pure magic (in more ways than one). There are many other ways to increase motivation using hypnosis, especially with the Ericksonian approach, and there are some problems that are harder to resolve than others because of the nature of the problem and the degree of motivation required by the client has to personally take responsibility for resolving their problem. For example, clients with a lack of self-esteem or confidence tend to also lack motivation. Likewise clients who have been referred therapy by a third party rather than deciding to attend themselves. Often clients present themselves for therapy but because of benefits they have received in the form of secondary gains through having their problem, they lack motivation to participate fully in the therapy. In such cases the therapist has to address the secondary gains and find some way to replace them with something healthier or similar so that the client can feel more motivated to let go of their problem. Even when a problem is potentially life-threatening clients can still lack motivation. For example a heavy smoker may feel reluctant to quit because of their dependency, and despite presenting themselves for therapy show a degree of resistance to help. Even if told by their own GP that they should quit, the idea of smoking causing severe illness and even death can still seen far away in their minds. With such cases the hypnotherapist has to increase the emotional intensity of the negative consequence of maintaining the problem to increase the motivation to change. The same can be true for other problems where there is reluctance or resistance to change. Sometimes this reluctance is not intentional but is active at the unconscious level. I remember client who wished to lose weight. Everything we tried failed to work. It was only when we discussed her relationship with her husband that I realised that she had a fear of looking more attractive. Her relationship with her husband was not good sexually, they had children and so stayed together mainly for the family. At an unconscious level she realised that if she became more attractive she would be tempted to have relationships outside of the family. Her instinct to maintain the family unit and take care of her children was preventing her from losing weight effectively because this might cause her to leave her husband and upset children. In this instance I stopped offering therapy for weight control, and instead asked her to invite her husband into the therapy. We then worked through the issues within the relationship and resolved these so that she was able to feel comfortable and more loving towards her husband. This required changes on the husband’s part which he agreed to and completed. After we had resolved these relationship problems she started to lose weight without any further intervention from me. So motivation is not just contingent upon the client themselves taking the conscious decision to commit more thoroughly to outcomes. It can also require hypnosis work at the unconscious level to free clients from patterns of behaviour in which they are trapped in some way. I like to tell my clients that motivation is similar to momentum, in other words, it moves us forward. And to move we need fuel, and emotion is the fuel that motivates us and helps us move forward. Without the emotion to move we just stand still. And this is why when offering tasks or challenges to our clients in therapy we need to make the task an emotional experience. Without the emotion there seems no purpose to the task, and without purpose there is no learning or insight on the part of the client.